The AMF-101 DINN is a mobile suit designed for sustained aerial combat on Earth. The DINN's design is similar to the ZGMF-1017 GINN, with the exception of the extendable wings used for flight and a helmet-like attachment used to increase the suit's aerodynamics. The DINN's basic armaments consist of an anti-aircraft shotgun and an assault machine gun also used by the ZGMF-515 CGUE. The DINN is also equipped with four multipurpose launchers in the chest which can be fitted with missiles. DINNs are deployed all across the Earth, and many units participate in ZAFT's Operation Spitbreak, a failed attempt to destroy the Earth Alliance's Alaska Base. During Spitbreak, a silver commander's unit is used by ace pilot Rau Le Creuset to infiltrate the Alaska Base. In addition to the standard DINN model, ZAFT also produces several variations, including the AME-WAC01 DINN Special Electronic Installation Type, AMRF-101C AWACS DINN and AMF-103A DINN RAVEN. The only fixed armament of the DINN are four 6-tube multipurpose launchers, which are mounted in the chest of the suit. Additionally, the suit usually carries a single MMI-M7S 76mm heavy assault machine gun, the same type used by the ZGMF-515 CGUE and an MMI-M100 190mm anti-aircraft shotgun in its hands, which grant the DINN additional firepower for both aerial battles or attacks on the ground. Both of these weapons can be stored on the hips of the suit when not needed. 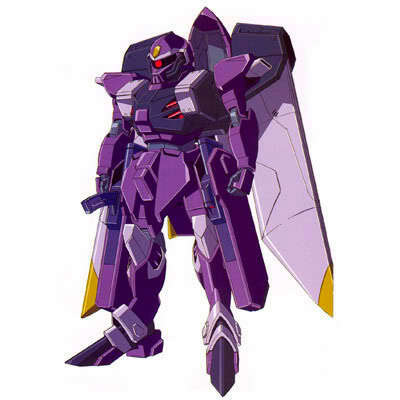 Following ZAFT's invasion of Earth during the first Bloody Valentine War, a new type of mobile suit was needed to grant ZAFT forces the military power to fight against the Earth Alliance's own aerial machines. On May 20, CE 71, the DINN was eventually fielded, which gave ZAFT an advantage in aerial combat. The DINN is closely related to the commander type CGUE, but is much more lightly armored, in order to reduce weight for aerial combat. In flight, the DINN's wings extend and a helmet-like piece covers its head. 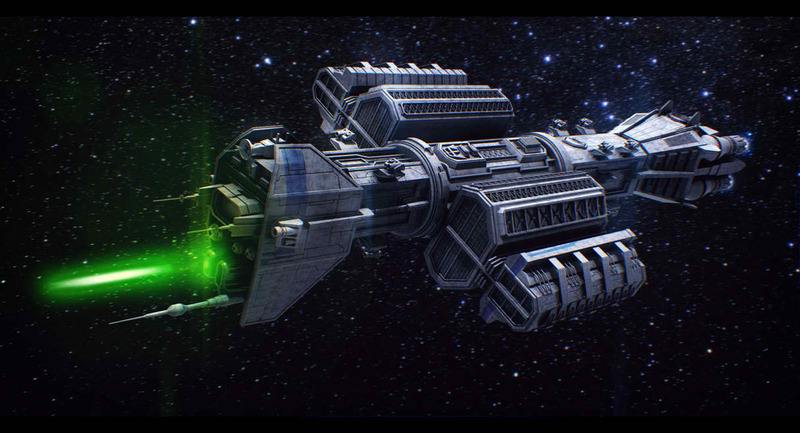 The DINN is not only stationed at ZAFT's planetary bases but also carried by Vosgulov-class submarines, from which they are deployed through specialized catapults. The DINN eventually became the standard mobile suit used by ZAFT on Earth which participated in many battles on the planet, including the massive Operation Spit Break, an attack on the EA's JOSH-A base. During this attack, ZAFT commander Rau Le Creuset piloted a silvery colored DINN. The suit was also stationed in some PLANT colonies, among them the new ZAFT colony Armory One. During the time of the Second Bloody Valentine War, the DINN was slowly replaced by the more advanced and heavily armed AMA-953 BABI. During and after the first EA/PLANT war, ZAFT created at least three variants of the DINN. These models were the AMF-103A DINN RAVEN, the AME-WAC01 DINN Secial Elctronic Installation Type and the AMRF-101C AWACS DINN, with the later two designed being used primarly for search and recon missions. *Natural Pilots: Natural Pilots: If a ZAFT mobile suit is ever piloted by a Natural human, all Difficulty Levels for piloting will be increased by one Level. If this roll is not made, the mobile suit will not move, and the pilot will recieve bonus dice from Maneuverability or Fire Control of Weapons. 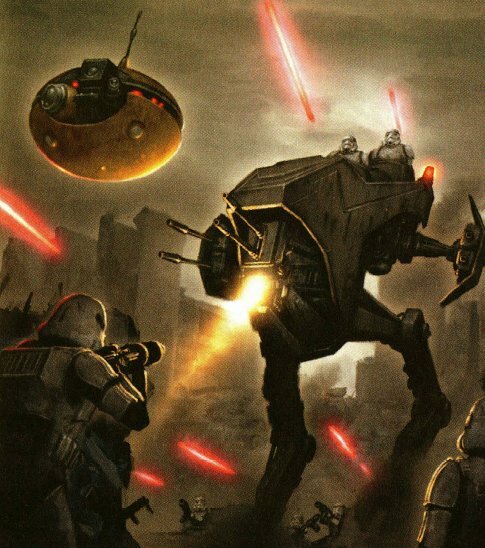 If these difficulties are made, the mobile suit will move, but the pilot will still not recieve bonus dice from Maneuverability or Fire Control. If a proper Operating System is installed for Natural pilots, THEN they will recieve these bonus dice to their skill rolls. If the OS is not available, then one can be improvised with a Very Difficult Computer Programming roll (requiring several days, maybe even a week or longer), or a Heroic Difficulty if time is an issue. If the programmer has about a month to creat the OS, then the Difficulty is Difficult. The OS for Natural MS piloting was not officially created until late in the Bloody Valentine War. The Orb Union's Erica Simmons created one for use with their M1 Astrays with help by Kira Yamato, while the Earth Alliance created one for their Strike Daggers at roughly the same time (a little later). ***MISSILE VOLLEYS: Star Wars D6 RPG has always used missiles, and this carries on in later versions of their RPG rules. However, to my knowledge, they have never had rules for firing multiple missiles at once, in volleys. Many write-ups I send in list the ability to fire volleys of missiles or other kinds of weapons. But, though I have intended to send in rules for this for sometime, I have put it off. Here are the rules. When firing a missile volley, decide how many missiles you are launching in your attack (some weapons may have set numbers to how many missiles can be fired, how many individual launchers can fire together in volleys, and other such rules. Decide your number of missiles based around this where applicable). Then make your attack. There are two ways to do the attack roll, and its up to the GM to decide which way they prefer. Either there is no modifier to the attack and the player/GM rolls as normal with no modifiers; OR, the attacker adds a +1 pip per extra missile they have added to the attack. This is to reflect the increased difficulty other characters will have in dodging so many missiles being fired at them all at once, not an impossible feat to do, but much more difficult than evading just a single missile. Another option for this "optional" modifier to the attack with missile volleys is listing whether or not the weapon has the option to do so. 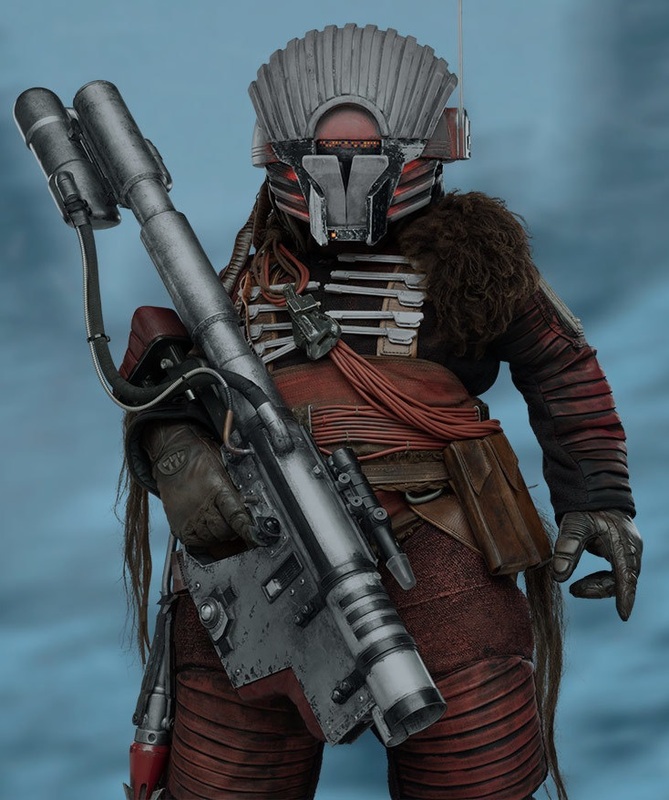 It may be a simple piece of extra equipment to attach, or some software added or updated to the weapons system, something extra that could cost a few credits more for the players. Last, if the attack hits, there is the damage roll. Volleys are much different than fire-linking or batteries. They do not make the missiles hit all at once for extra damage to a single damage roll, or for extra dice for the attack (though this is possible in Star Wars D6's rules, and done often), but instead they allow multiple damage rolls as each individual missile hits the target on its own. 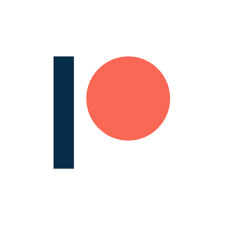 For the option of adding pips to hit per missile, every "1" that hits past the defenders dodge roll counts as a missile scoring a hit (but no more hits than were actually fired. Come on now, that's just cheating). Each single missile then rolls it's own damage dice. So if 4 missiles hit from a volley against a target, then 4 seperate damage rolls would be made to score damage against the target, and the target would then roll 4 seperate Damage Resistance rolls against these (since the missiles would probably hit different portions of the target, not the exact same spot. That's what called shots, fire-linking and batteries are for). The idea behind this is that while one large pool of dice are great for a devestating attack, they could always roll a "1" on the Wild Die and completely foil your attack, whereas a missile volley gives you several opportunities to not only score damage against a target, but more than one chance of the same Wild Die exploding with 6's on one of its attacks as well. Sure, its a little more to keep track of, but the advantages are worth it. ****UPDATE NOTES: If GMs/players come across this write-up and see other variants of the DINN on the site, they may notice a difference in Dice for the HULL entry. This write-up for the original DINN has been altered to reflect an ongoing attempt on my part for balance, while also experimenting with how the rules work, and how they can be changed for better quality. Here, I have made rules for "mecha" more specified, giving the Hull Dice, then followed by Strength and Armor Dice, to show statistics similar to a character, since the DINN and other mobile suits and mecha are made to move like a human (or whatever race builds them). In this case, the Strength Dice show the DINN's base superstructure before the armor plating is added on, which is also its strength to show how much power it can physically exert (for close combat and fine manipulation of other objects, like lifting things for utility purposes). Then the Armor Dice are given, to show the need for protection on a character or combat vehicle. Originally, the DINN write-up had 4D Strength and 1D Armor. After some thought on the other variants, AND after making an update for the GINN itself (which the DINN is based off of), I thought less strength was needed all around (the GINN has the same treatment), but keep the 1D Armor to show the fact that it was designed to fly in atmosphere, not just "jump" like the GINN did (which has 2D Armor now). So that lighter models could be reduced in armor for greater mobility, while keeping the GINN's/DINN's base Strength as their own in combat. Though using a 3D Strength against a 5D Hull may not seem very doable in combat, that's why weapons are given to overcome this, such as the GINN Sword (Strength+2D, 5D for GINNs, at least equals the Hull of other GINNs), along with other ranged weaponry such as guns and missiles. Also, their is always the chance of ripping off the Armor plating to get a better crack at another mobile suit, or even called shots on critical systems and equipment to criple an enemy (such as the camera eye in the head, the maneuvering thrusters, the limbs themselves), all of which would use Strength to resist, not the full Hull Dice. When in co mbat, though it works much like a starfighter from Star Wars D6 RPG, a mobile suit/mecha still moves and can fight like an actual person if used right. If other variants are found in the site without these updates, they probably have not been updated (YET!) and should be used according to these update notes. 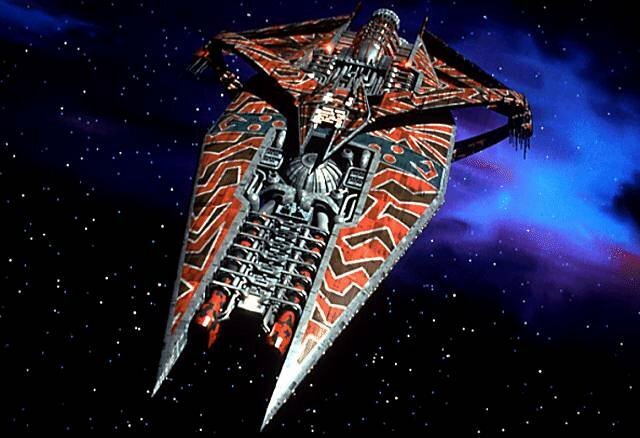 The ZAFT DINN is starfighter scale, like most mecha, because it is space and flight capable. I have chosen most of the dice codes for it based on its size (which is similar to a space transport in Star Wars D6, and lack energy shields), and the fact that it is an early model (other more improved models follow later with improved statistics, which is why the DINN may still seem comparatively weak in may ways). Unlike the ZAFT GINN, the DINN can actually fly in atmosphere, because that is what it was designed for. The assault rifle is similar in stats to the GINN version, but better as it is used by the later improved CGUE models. The Shotgun I have written up to work somewhat like a real shotgun, with massive damage at very close ranges, but less damage as the shot gets further away, and in this way it also works womewhat like an anti-aircraft flak gun. The missile launchers have a standard wahead listed for damage (7D), but other missile types would be available since it says it is a multipurpose weapon. Such warheads may be Light Explosive (6D), Heavy Explosive (8D), Long Ranged (double the range), anti-radiation jamming (7D jamming against all sensors and fire controls, -1D per round), and even fire retardant and smoke. -Equipment and design features: sensors (range unknown). -Fixed armaments: 4 x 6-tube multipurpose launcher (mounted on chest). -Optional hand armaments: MMI-M7S 76mm heavy assault machine gun, MMI-M100 190mm anti-aircraft shotgun. -Appearances: Mobile Suit Gundam SEED; Mobile Suit Gundam SEED ASTRAY (OVA); Mobile Suit Gundam SEED DESTINY; Mobile Suit Gundam SEED ASTRAY R; Mobile Suit Gundam SEED DESTINY ASTRAY; Battle Assault 3 featuring Gundam SEED; Mobile Suit Gundam SEED ASTRAY.